One of the co-founder of The Arctic Playhouse Theatre in West Warwick, David Vieira wants to share his love of live performance and community. Art — in particular, theatre and live music — has always played a pivotal role in my life, starting when I was a teen through now in my 60s. I learned about the world through plays and music. Even if I wasn’t always aware of it, I was learning about life and about living with other people as I was being entertained. When art conveys an aspect of human experience, it can touch people’s lives in profound and meaningful ways. Rose Weaver tells a story of how her artistic work helped her and others to deal with difficult and complicated family losses. Writing plays, storytelling, composing songs, and singing are analogous to food and water for me. Without them I would not have survived an abusive past living under Jim Crow laws or gender discrimination since birth. Looking forward, I know I cannot endure the future if being an artist and receiving artistic grant support is forever taken from me. Spruced physically, spiritually, and mentally in their abundant guises, performing and writing provides me the artistic means through which I find personal and professional freedom and salvation. “Memories are the lifeblood of a family’s identity.” My play, Skips in the Record, a RISCA 2004 Fellowship winner, is a tragic comedy about a southern black American family coping with Alzheimer’s disease. Through three generations of women, it focuses on the fear of losing memory, history, thoughts, ideas, recognition and the urgent desire to preserve all of these. I witnessed my grandmother’s steady decline and death from complications of Alzheimer’s. I saw my mother’s struggle as a caregiver who could barely read prescription labels. A few years later, as my friend and colleague Sylvia Ann Soares’s mother moved deeper into Alzheimer’s disease, again I saw first hand how devastating the disease is to the caregiver, the patient, the whole family. I needed to write and capture my experiences in order to better understand, ease my fears, heal, and to help my community comprehend the scope of Alzheimer’s whole body deterioration. Skips in the Record was one of my thesis plays at Brown University as a mature MFA student of fifty years old. A one-act play in the beginning, it was not until I was awarded the RISCA Playwriting Fellowship in 2004 that I was able to have the time and resources to create focus groups, do extensive research, and expand the one-act play into a full length script. Performances were welcomed by hospitals, churches, community organizations and even First Night Providence at Trinity Rep.
A few months ago, another dear friend, Pamela Lambert, who acted in Skips in the Record along side Sylvia Ann Soares, confided in me that as a result of her acting in the play over the years, she is presently able to better care for her own mother who is losing the battle to the disease. An executive who worked with an Alzheimer’s organization said, “Skips in the Record is successful and highly regarded by the audience as an excellent and innovative approach to educate the community about Alzheimer’s disease.” Education using the arts allows a person with no education or one with multiple degrees to benefit on a visceral as well as intellectual level from the messages in artistic representations. ROSE WEAVER is a playwright, vocalist, and performer. She is currently Artist-in-Residence at Brown University’s Rites & Reason Theatre. To read more art stories, visit Rhode Island Art Stories. To contribute your own, email: mka [at] mkimarnold [dot] com. Do you have a “clean energy” story to tell? The RI Energy Office wants to know! 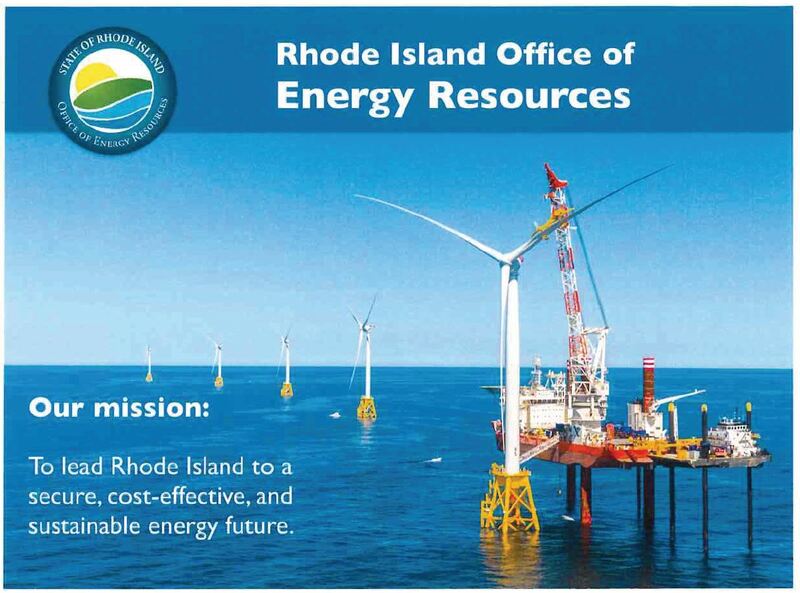 The Rhode Island Office of Energy Resources is charged with leading Rhode Island to a secure, cost-effective and sustainable energy future, and they are interested in hearing how artists and arts organizations use clean energy or employ conservation efforts in their work.